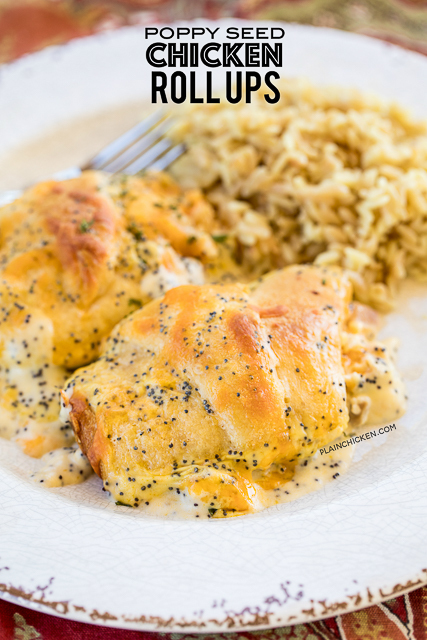 These Poppy Seed Chicken Roll Ups are a new favorite. We've eaten them several times over the past month, and I just can't seem to get enough of them! We serve them with some green beans and Homemade Chicken Rice-A-Roni. All of my favorites on one plate!! The key to making this in a snap is already having your chicken cooked and chopped. I used some chopped rotisserie chicken. 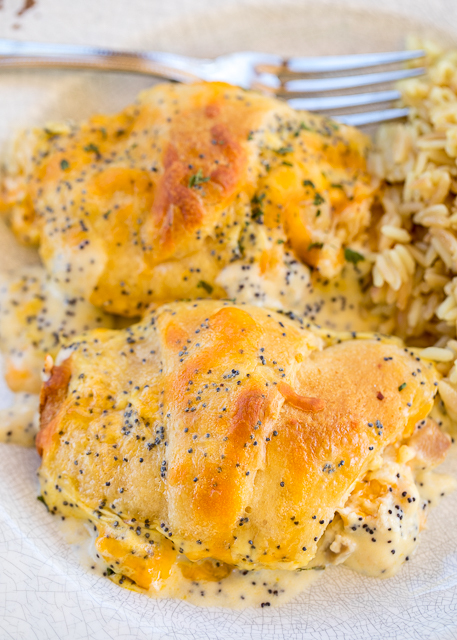 I always have chopped rotisserie chicken in the freezer for quick meals like this one. It is my secret weapon! I prefer Costco's rotisserie chickens - they are big and cheap! This is one of my all-time favorite meals. This is enough for 3 or 4 people - just depending. I always make a whole batch for Chicken Legs and me. I love having the leftovers for lunch the next day! YUM! 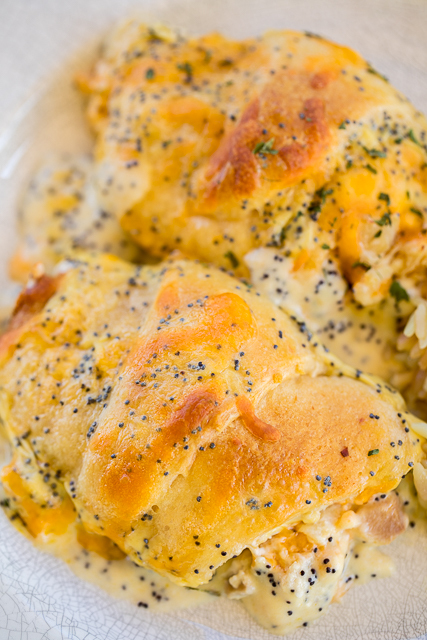 Combine chicken, cream cheese, and 1 cup cheese. Separate crescent rolls into 8 triangles. Top the large part of the crescent triangle with the chicken mixture. Roll crescent rolls up. Place in prepared pan. 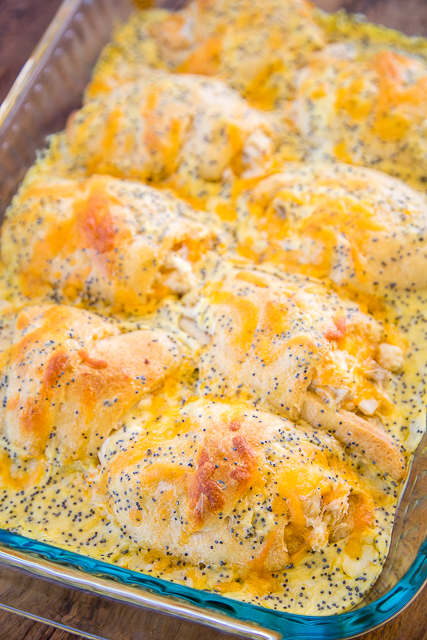 Mix together milk, cream of chicken soup, poppy seeds and remaining 1/2 cup cheese. Pour over crescent rolls. Yummy sounding recipes. I am really looking forward to trying a few of them. Thanks for the great dinner ideas.